Are you struggling financially or facing an unexpected financial situation and you reside in or near Katy, Texas? Whether your Katy home is in Fort Bend County, Harris County or Waller County, your bankruptcy attorney will be filing your bankruptcy case in the federal courthouse in downtown Houston. I have been a bankruptcy attorney proudly providing service to the residents of Katy, Houston and the greater-Houston community since 2008. Whether you live in Katy, Brookshire, Fulshear or Cinco Ranch, we can help. If you are struggling with credit cards, medical bills, a car loan, a mortgage, IRS debt or something else, let us help. You may want to spend a few minutes looking at my website. I have placed a lot of information there that may answer some of your questions. 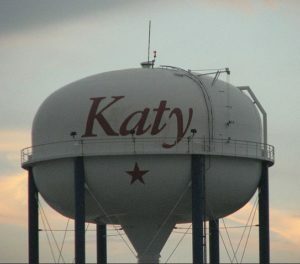 If you are looking for a Katy bankruptcy attorney, give me a call. After a brief telephone conversation we can schedule a free in-person consultation at my office, less than 30 miles from the heart of downtown Katy and just 3 miles north of I-10. I offer personalized attention and will return calls and respond to e-mails the next business day at the latest (I do my best to respond the same business day if possible). Contact Katy bankruptcy attorney Ryan Dove today to discuss your financial situation and to schedule a free consultation! -Exit No. 765A, Shepherd/Durham. Turn Left onto Shepherd (second traffic light).